ENEA-Fusion: Superconductivity: SEM Microscopy Lab. 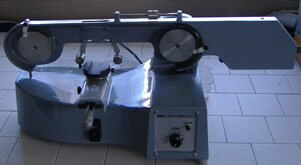 additional equipment for preparation of the metallographic samples. 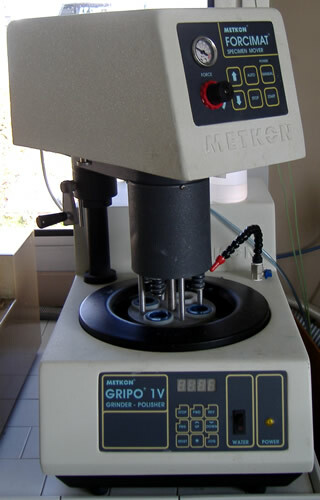 The light microscope is a fundamental tool for a rapid analysis of the samples. 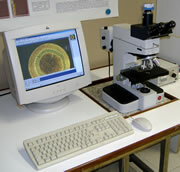 A Leitz-Wetzlar Metalloplan microscope, with image acquisition system,is used. A resolution of about 1µm can be easily obtained on planar samples. The maximum available magnification is around 4000x. 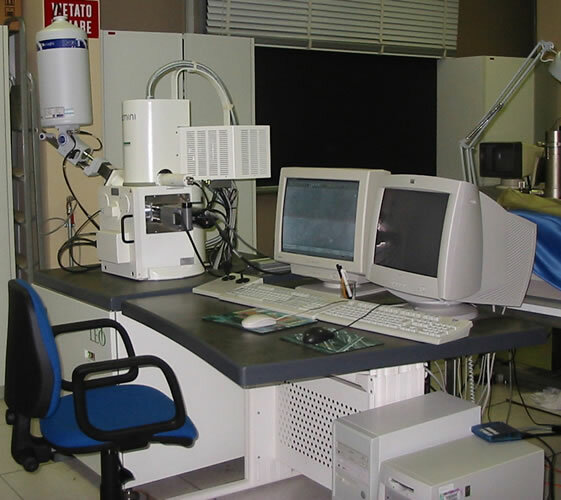 A scanning electron microscope (SEM) is used for morphological, chemical and microstructural characterizations of superconductors. 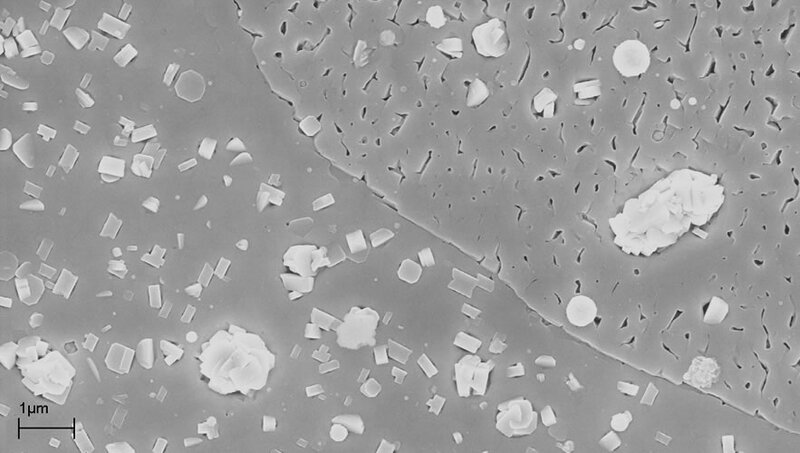 A high resolution, field emission LEO 1525 SEM is used. 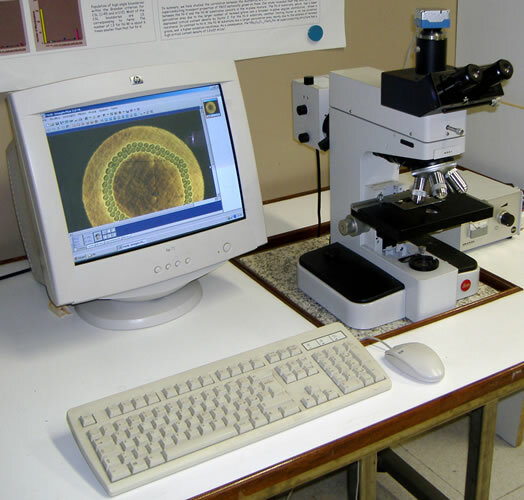 The nominal resolution of this microscope, obtained with a working distance of 2 mm, is 1.5nm at 20kV and 3.5nm at 1kV. Magnification ranges from 20x up to 500kx. 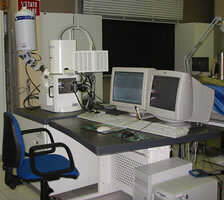 The SEM is equipped with a Energy Dispersive X-ray (EDX) microanalysis which provides both qualitative and quantitative informations about the chemical composition of the sample, and with an Electron BackScattered Diffraction (EBSD) system that allows to resolve local crystallographic orientations in the range of 100nm. 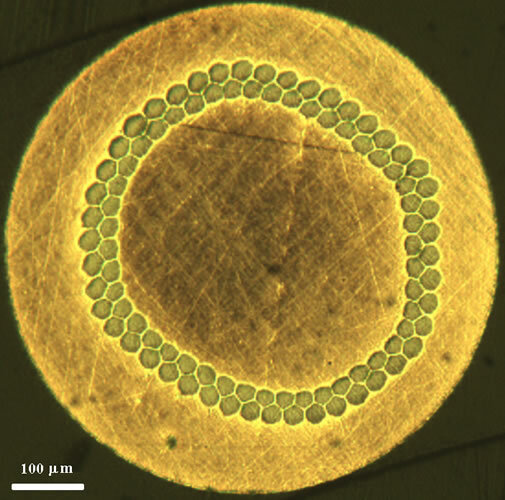 Left picture shows the described SEM and right pictures are sample images of both, surface and cross-section of a multilayer YBCO-CeO2-YSZ-CeO2. The EBSD is a very important tool for the analysis of the YBCO-based coated conductor, since it allows to get informations about the crystallografic orientations, the grain-to-grain disorientations, the texture and the grain boundaries. Furthermore, the EBSD is a surface technique, since the signal is obtained from depths of tenths of nm and it is thus particularly effective for the characterization of thin films. Example of EBSD applied to a sample of Ni-W after a thermal treatment at 850 °C for 30 minutes. The colour of each point is associated to the local orientation, as shown in the standard triangle. In the development of YBCO coated conductors, EDX is widely employed for determination of both stchiometry and chemical composition of the superconductor film, as well as of buffer layers and metallic substrates. Pictures of cutting and polishing machines for the preparation of metallographic samples. In order to improve the resolution during SEM observation of non-conducting samples it is useful to coat the surface with a thin gold layer. Similarly, for microanalysis, a thin carbon film can be deposited in order to avoid electrostatic loading effects of the sample.